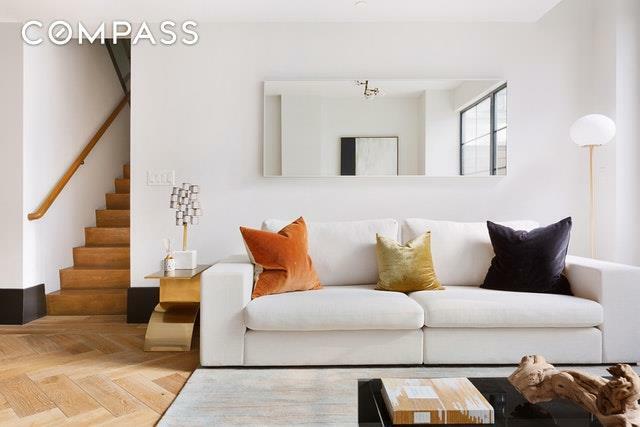 51 Jay Street, Unit 1M is spacious a duplex loft with a private outdoor patio in a beautifully converted warehouse, designed by the acclaimed architecture firm, ODA. 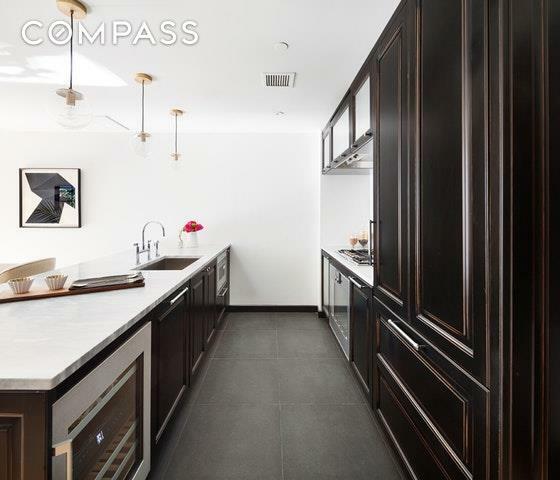 Every detail throughout this 2 Bedroom/2.5 Bath residence speaks of expert craftsmanship and the finest materials that marry well with the industrial elegance of the building. Herringbone flooring throughout and the (almost) floor-to-ceiling walls of casement windows add to the loft-like feel of the home. The lovely patio off the living room allows for seamless entertaining and is situated in a landscaped private courtyard.The first floor features a kitchen outfitted with La Rochelle Gris marble countertops, custom cabinetry by Aster Cucine and a Gaggenau appliance package. 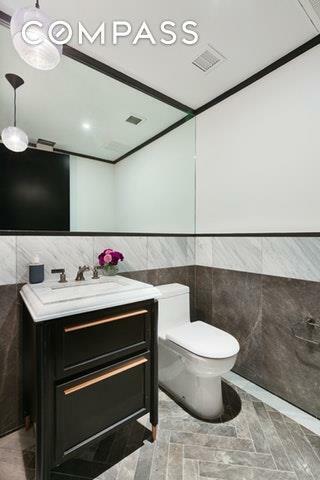 There is ample closet space and a lovely marble powder room. The staircase to the second floor has ample wall space, ideal for artwork or photographs. The large bedrooms have enormous walk-in closets and ensuite bathrooms. Marble flooring and lacquer vanities, copper detailing and Watermark fixtures round out the features in the bathrooms. The highlight in the master bath is a wet-room with a walk-in shower and deep soaking tub.51 Jay Street hosts an impressive array of amenities including a double-height, 24-hour attended lobby with polished concrete flooring, an on-site Super, fitness room, children's playroom, residents' lounge, expansive rooftop terrace with an outdoor kitchen, grill and fireplace, sunning and dining areas. There is a cold storage room, pet washing/grooming spa, bike room, large capacity laundry room and a tax abatement ending in 2032. A few parking spots remain for an additional fee. The building is 2 blocks from the F train and close to the A,C and 2, 3 lines. Brooklyn Roasting Company, Cecconi's, DUMBO House, Empires Stores, Equinox, Forager's and several restaurants, spas and shops are all close by. 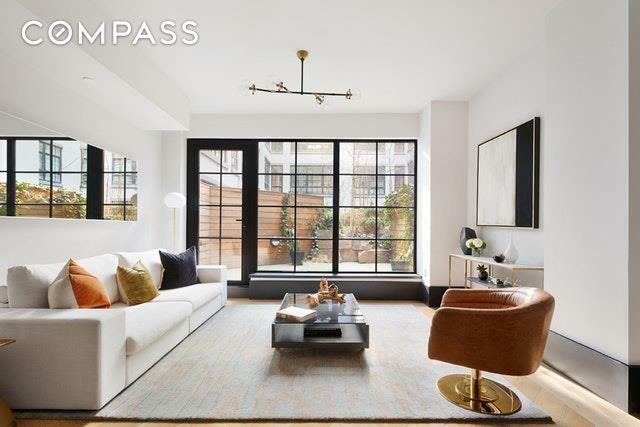 51 Jay Street is located in the landmarked district of DUMBO.The complete offering terms are in an offering plan available from Sponsor. File No. CD14-0159.